The prospects for industrial development in the early years of independent India were plagued by a number of interrelated issues. Indian industrialists of the post-Independence era had either evolved from the ranks of merchants and moneylenders of the colonial period or from wartime speculators and hoarders. In general, their interests lay in short-term speculative gains rather than in sustained industrial growth. In addition, the impoverished condition of the peasantry resulted in the prospects of attractive returns through the diversion of urban resources to the rural moneylending market. Let alone preventing fresh industrial investment, this diversion bled the industrial sector of funds to cover even the replacement costs of plant and machinery. Finally, because of the nexus long established between some sections of the owners of capital and the Congress party, decisive corrective intervention by the government after Independence became a problematic political task. 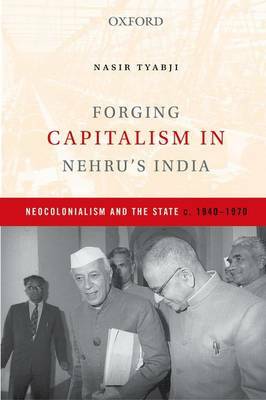 This volume examines the processes by which these problems, exacerbated by colonial nonchalance, were comprehended by the political executive in independent India, and shows how measures of social engineering were attempted in order to reform the more extreme cases of capitalist cupidity.